The town itself remains traditionally and typically Spanish yet in a modern way with numerous more amenities than what they would have had in the past. Many of the streets in Ojen are narrow with traditional architecture a number of old buildings to be found in the old town. The outskirts are more modern and you will find a number of luxury villas as well as very small urbanisations made up of apartments. On the outskirts of Ojen you will find the municipal swimming pool as well as a bar/ restaurant on site, this is very popular with locals and tourists alike. The name Ojen derives from the Arabic word hoxan meaning rough or bitter place, the current population is said to be circa 2000 inhabitants, out of which you will find numerous foreigners included. 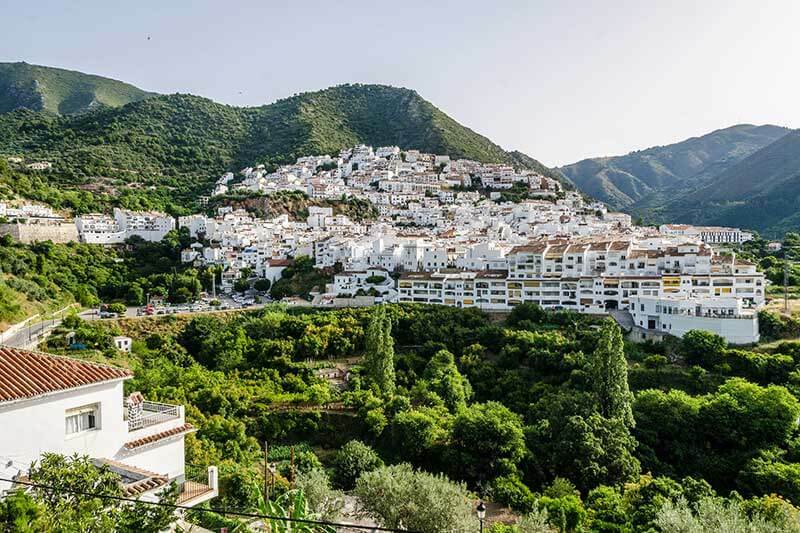 The Sierras Blancas and Alpujatas provide plenty of very pleasant areas to enjoy, in the surrounding countryside there are plenty of areas to go walking, trekking as well as mountain biking in unspoilt and quiet countryside. This sleepy village was once a well-known place for the production of Aniseed liquor, aguardiente, a very potent and popular drink that many Spanish have with their morning coffee, it is rumoured to be good for the digestion system as well as a number of other ailments. This industry in its heyday used to be a major part of the local economy. Nowadays, Ojen’s economy is based on tourism, farming and once upon a time, construction, many of its local residents travel to other parts of the costa del Sol for employment. It is within easy reach from most part of the costa del Sol, Marbella in particular.